At BestOnlineSportsbooks.info, fans will find details regarding the structure of modern sportsbooks. Including key differences from one offshore sportsbook to another, the different types of betting lines available, and of course, how to get started at any of the legal online sports betting sites. Navigating the web can be a tricky affair nowadays. Oftentimes it can feel like you’re drowning in information, making finding what you want more complicated than it has to be. That’s why BestOnlineSportsbooks.info has made it their mission to bring you the premier online wagering options without any intricacy. Here, players will be able to compare and contrast the most reputable betting sites on the web. Without any hassle, bettors will be able to differentiate gambling sites by the type of betting lines they offer, the types of bonuses available, and the various deposit/withdrawal methods available at your disposal for when you bet online. Nowhere else on the web will players be able to access sportsbook reviews with such ease. Gambling sites offer varying wagering lines depending on the specific demographic they’re looking to reach. Some books will offer lines geared towards MLB fans, like run line baseball betting lines, while others will offer more wild card options – like action on the presidential race. On the other hand, other betting sites choose to leave the politics out of it instead opting to focus on horse races, properly earning the sobriquet: racebooks. Of course, the most common lines can be found throughout every sportsbook. These include NFL futures predictions, MMA money lines, and the very popular March Madness betting lines. Betting options for the NBA, NFL, NHL, and MLB are found ubiquitously throughout the web. 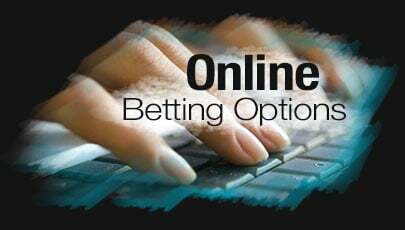 Understanding betting options is paramount to online gambling. The easiest type of bet is on the money line. Simply put, you are choosing one team over another. Take the NFL for example. If the Cowboys were pegged at +300 odds over the Giants, who were facing -250 odds, you could say that New York is listed as a sportsbook favorite over Dallas. In this particular scenario, since the Cowboys are expected to lose, a $100 bet on Dallas would yield a $300 dollar reward. Likewise, you would need to bet $250 dollars on the favorite (New York) to win $100. Obviously, either team must win the game in each scenario to be eligible for the winnings. Additionally, the sportsbook will always compensate the initial stake so that players get their winnings plus the money they put down. On top of the money line, wagering on the spread is a common practice. Spread betting is a little more intricate, but just as easy to understand. When a team comes into a game as the favorite, they will be looking to cover the spread. Take the previous NFL example. Since the Giants came into the game as the favorites, they would have to cover the spread – let’s say -7. What this means is that New York must win by 7 or more points in order to cover the spread. If they win by less than 7, or lose, then they failed to cover the spread and a bet on Dallas would have yielded a win. Spread lines are usually listed as: Dallas +7 (+110). Totals lines are also very common and also very easy to understand. In a given game, totals simply refers to the total score of the contest once the game is finished. Keeping with the NFL example, a professional football game might see a totals line of 48 ½ (-110). This means that together, both teams must put up either more or less than 48 ½ points. When you bet the total, you are picking one of those two options. One of the easiest ways to differentiate between sportsbooks is comparing the various bonuses that they offer. The majority of the most reputable betting sites offer lucrative reload bonuses, to sway longtime bettors to hop ship. Other, younger sportsbooks, prefer to offer sensational sign-up bonuses, in order to sway newcomers to take their action to their site. Deposit, or Sign-up, bonuses will offer a percentage on your initial sportsbook deposit. Reload bonuses are essentially the same, except that they offer a percentage of every additional deposit you make with that betting site. Sign-up and reload bonuses are the most common types of benefits that sportsbooks offer. However, they aren’t the only type available. The most auspicious type of bonus, match bonus, is seldom seen as the primary option but can be extremely alluring. Match bonuses will usually ‘match’ the initial deposit, with a varying percentage. Match bonuses are usually offered for the most important events of the year – like the Super Bowl or Stanley Cup series, and the matching percentage can go all the way up to 100%. Meaning that a $100 deposit will yield a $100 matching bonus. The rarest types of bonuses include free bet and no deposit bonuses. Free bet bonuses are gratuitous and are usually offered by the most reputable sportsbooks as a simple thank you for signing up. These types of bonuses are, as the name suggests, free and are typically reserved for the biggest sporting events of the year, like the NCAA Tournament or the Kentucky Derby. No deposit bonuses are the unicorn of the betting world. Sportsbooks will occasionally use these rewards to tempt bettors to test their reserve during major betting events or the most heated series. Like the name suggests, the betting site will offer a bonus, which usually increases the longer the ‘no deposit’ streak continues, to see how long a player can go without depositing. While these can be very remunerative, they usually come alongside some pretty heavy rollover rates. In order to truly tell different bonuses apart, bettors need to understand the different types of rollovers sportsbooks employ. Rollovers are what the best prediction sites use to make sure that players stick with their site, instead of simply enrolling for a sign up bonus, before proceeding to take off with the money. Rollovers refer to the amount of bets players must make before they are eligible for their bonus money. For example, a common practice is for sportsbooks to demand a 5x rollover on a deposit bonus. So if you were to deposit a $100, taking advantage of a 50% reload bonus with 5x rollover, you would first have to wager $750 dollars before you would be eligible for your bonus. You never lose your bonus; sportsbooks simply require different levels of commitment. Without a doubt, the most life-saving rewards are referred to as percentage loss. Basically, on a given losing bet, sportsbooks will return a certain percentage to the player – referred to as percentage loss. This bonus can be quite rare, but it is handy. In the end it serves two purposes. First, it allows the bettor to be satisfied knowing they didn’t lose their entire bet. And second, it encourages that same player to keep betting at that particular sportsbook. Lastly, one of the biggest differences between sportsbooks is the depositing/withdrawal options they offer. Without a doubt, these have the largest variances. They can range from depositing online via banking options, ATM deposits, or even Bitcoin deposits. Likewise, withdrawals can also be made online, at an ATM, or using your Bitcoin wallet. Best Online Sportsbooks allows sports betting players to look at the different options each sportsbook offers, without the inconvenience of having to navigate back and forth through different betting sites. Without a doubt, this is your one-stop-shop for all your online betting needs! Check our recommended list of top online sportsbooks, take advantage of all the promotions, free bonuses and fastest payouts. Find the best deposit & sign up bonuses from the top sportsbooks list that we recommend and take advantage of the exclusive promotions.